Constructed of rugged saddle leather, further strongly reinforced with steel rivets, the McGuire-Nicholas Tape Measure Holder is very hard wearing and keeps its shape over a long life span. 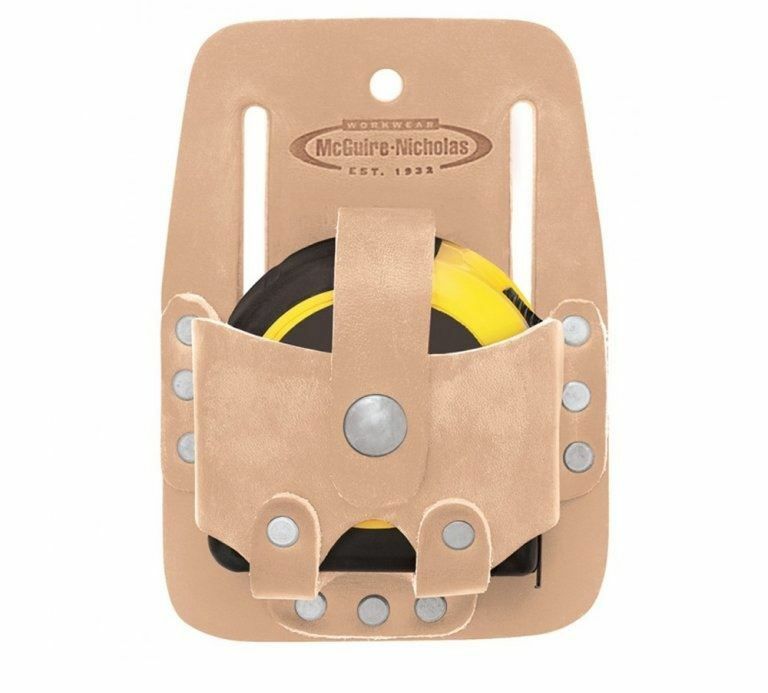 Designed to sit slightly lower below the tool belt than other McGuire-Nicholas tape measure holders we offer, this product has a strong snap closing securing strap that secures the tape measure reel and a simple one hand push up removal facility making it very easy to use. The holder is suitable for use with most oversized tape measures and has two belt slots for attaching to a 3 inch belt.